A fast-growing aerospace engineering company has secured a long-term supply agreement with Cobham Mission Systems to supply its specialist in-flight refuelling hoses across a range of aircraft platforms. This follows the announcement earlier this year that the firm had invested £7m to create a modern, state-of-the-art production facility. Icon Aerospace Technology has built a dedicated facility at its Retford site for the manufacture of its state-of-the-art Flexiflow™ in-flight refuelling hose, which it will provide to Cobham as part of the multi-year agreement. The facility provides a long term robust supply chain to support Cobham Air-to-Air Refuelling systems with the Icon hose products already installed on aircraft including the Airbus A330 MRTT and the Boeing KC-46. Icon is the only UK manufacturer of in-flight refuelling hoses, across an extensive range of platforms with experience in this market stretching back more than 60 years. The company specialises in component technology, development and manufacturing and remains at the forefront of innovations in materials, processes and mechatronics, meeting the exacting standards set by integrators and Tier 1 suppliers. This latest partnership ensures that Icon continues to support Cobham in achieving its objectives, by supplying major in-flight refuelling systems around the world. Icon’s Flexiflow™ products are currently widely established as the refuelling systems of choice for leading tanker platforms across the globe. Strategically, Icon is continuing to invest in skills and technology to manage global demand, whilst developing the next generation of products that could enable the inflight refuelling of autonomous unmanned aerial vehicles. Recent investments include the adoption of 3D printing and rapid prototyping capabilities, together with continued development of materials and technologies to drive cost efficiencies and performance advantage. As it continues to develop its relationship with Cobham, Icon is already working with the company to explore new technologies for other tanker refuelling variants including unmanned tankers. 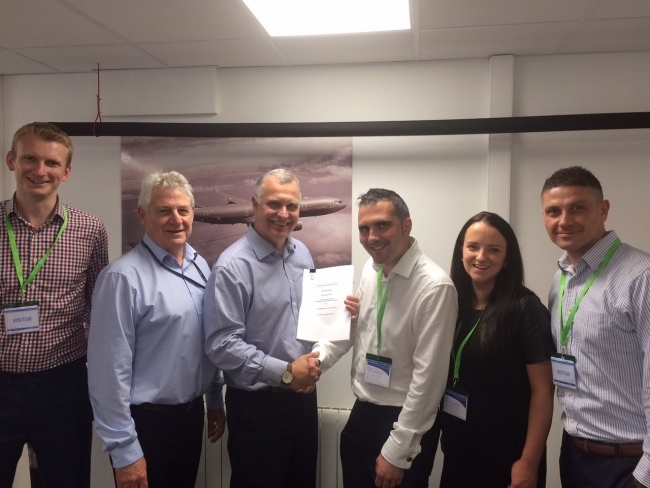 Tim Pryce, CEO of Icon Aerospace Technology added: “Our partnership with Cobham plc represents another long-term agreement, and provides the vehicle for the type of collaboration that brings innovative and world beating solutions to life.